I suppose the main downside of this course is the requirement to publish comments relating to readings... being a busy bunch as we all are, I've found it hard to make the time to continuously feedback on the readings - my folder is full of notes and highlighted points, but to actually get that all onto screen has been a challenge and unfortunately not at the forefront for me. On the bright side, I've volunteered myself to share my new knowledge (well the beginnings of knowledge!) on web 2.0 at our next e-learning cluster day... I will be introducing teachers from 2 schools to different web 2.0 tools that add excitement and interest to the classroom - motivating learners. Exciting and a little daunting but will be a good challenge for me and really get me thinking about e-learning again. Things are progressing very slowly but one thing I have managed to chip away at is a website of my own. I've been reading a forum and finally decided upon using www.wix.com - a free and easy way to build a decent looking website. At times it was a little frustrating but all in all, not difficult to use and something the kids could definitely do! I've got a few things to finish up, then I must get onto loading up my thoughts on the readings! I've gone through and highlighted and commented on things as I've been going but don't have a heck of a lot of feedback on my blog - whoops! What a fantastic resource for the classroom! Podcasts are digital 'episodes' that can be watched or listened to easily, uploaded onto iPods, and are easily created. Shamburg (2009) stresses the importance of students learning through this technology, rather than simply learning how to make podcasts (a common theme in e-learning). JISC (n.d.) define e-learning in general as "learning facilitated and supported through the use of information and communications technology [ICT]." (para. 1). This suggests a focus on learning and skill acquisition taking place through the use of ICT; a key point as some teachers may wrongly assume e-learning to simply be the process of learning to use the technological components correctly. Of course it can be a "discrete subject taught in schools to equip students for the workforce, but, more importantly, [it] can be used a a means to transform learning and teaching." (Finger, Russell, Jamieson-Proctor & Russell, 2007, p. 74) through all curriculum areas. Podcasting is a great technology that allows students to present and share what they have learned, their opinions etc. with the focus clearly on the learning. Ideally the result of research, reflection and risk taking. "Real-world activities connect to student interests and powerful ideas" (Shamburg, 2009, p. 10); when podcasting and these real-world activities combine, effective learning can really take place. I've seen podcasting used successfully in classrooms (both with images and voice/sound only) but haven't used it myself yet... I'm more motivated than ever to give it a go with my students, and hope to have them take photos themselves for the presentations to add another aspect. Well with tour and then school camp things have been all go and unfortunately university has had to take a back seat... and just as I was about to launch back in our poor little puss, Oscar got hit by a car. I'm going to take a couple more days, allowing myself to do not much and then will get back into the readings. Click the picture above to be linked the an article from the New Zealand Herald. 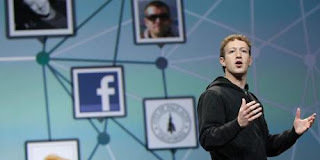 Facebook has announced the ability to create a more personal experience for people browsing the internet. A little 'Big Brother' for some, I'm sure, but an interesting idea. "Life isn't about waiting for the storm to pass... Its about learning to dance in the rain!"